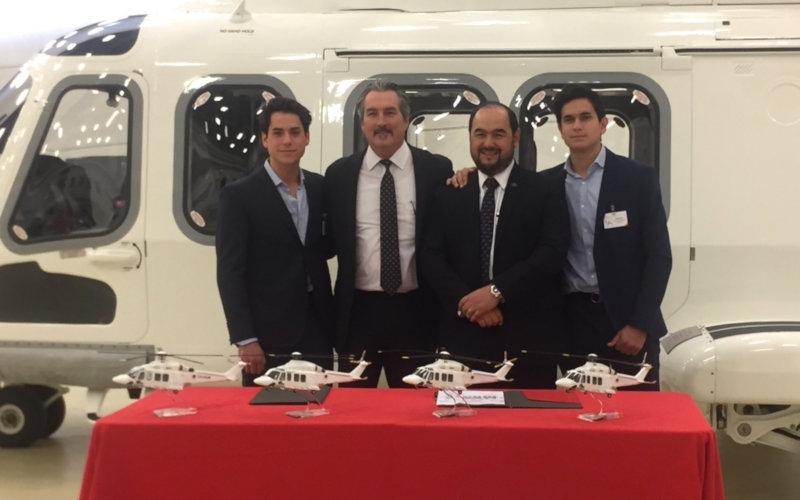 Leonardo, at its Philadelphia facility on December 3, hosted ASESA to celebrate the Mexican helicopter operator’s fourth AW139 purchase. The AW119, AW139 and AW609 aircraft are assembled in the Philadelphia facility, which also serves as Leonardo’s North America headquarters. In business since 1977, ASESA is the largest helicopter operator in Mexico and primarily serves the offshore oil, gas and electric industries. ASESA’s three service centres are authorized to provide maintenance on AW109s, AW119s, and AW139s. “Congratulations to ASESA on their fourth AW139. This peerless, best-selling helicopter will strengthen ASESA’s modern fleet and serve their customers well as they embark on the next 40 years of outstanding business,” said Robert Brant, vice president of the Americas, Leonardo Helicopters. Leonardo explains the AW139 is well suited for ASESA’s offshore missions, with its ability to carry up to 15 passengers, a cruise speed of 165 knots, six hours of endurance and strong hover performance. It features an integrated avionics system, large screens, a 4-axis autopilot system and engine power that allows it to operate in a range of conditions, including hot and high. The AW139, according to Leonardo, is the best-selling helicopter in its category with nearly 1,100 sold. More than 270 customers from some 70 nations have ordered the AW139 for a range of roles, including government, EMS, SAR, patrol, homeland security and transport duties. More than 900 AW139s have been delivered worldwide to date and have logged in excess of two million flight hours.